Drafting down the front straight, I am gaining on the car in front of me as we head toward "the kink," a section of the front straight which is pushed to the left then comes back and turns slightly right. 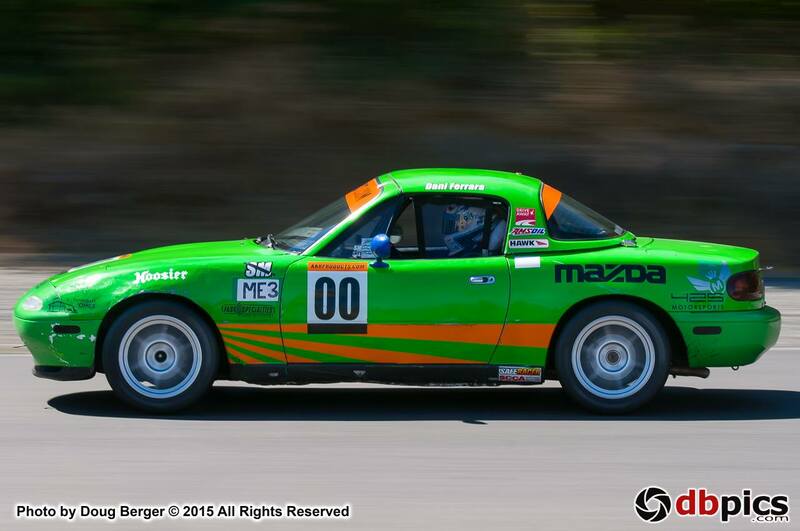 I am inches off his bumper when I pop out to the left to set myself up for an inside line through turn two, attempting to make the pass for third place. I brake deep with a quick 5-4-3 gear downshift and we are side by side as we enter the long, banked lefthander. I carry just a bit more momentum into the turn and complete the pass by the exit, tracking out to the curbing. We're flying down the hill toward two tight hairpins, and he is right on my tail as I brake and downshift to second gear, making sure I don't overshoot the tight right hand turn. A quick burst of throttle and I'm back to the brakes as I turn left onto a straight amidst an abyss of trees. We zoom along the curves of the pavement as we near the next sequence of turns. With a hill to my left, trees to my right, and some brutally steep curbing, there is little room for mistakes. Braking into the turn with a downshift to third gear, I am back to throttle through the left hand turn. A quick tap of the brakes and full throttle as the car dances around the right hander and settles as we swoop left to head back up the hill into the sunlight. Heading toward the last set of corners, I've built a gap and know I need a good run on the long straight to maintain my position. I downshift to third gear as we drop down into the banked turn eight and the car is on rails through the turn, drifting out to the very edge of the pavement and stirring up some dust on track out. I am full throttle through turn nine, shifting into fourth gear just before the apex, and carrying my momentum onto the straight. With 15 minutes left in the race, the battle for third continues. I ended up finishing fourth in class after having some great fun during those remaining 15 minutes. 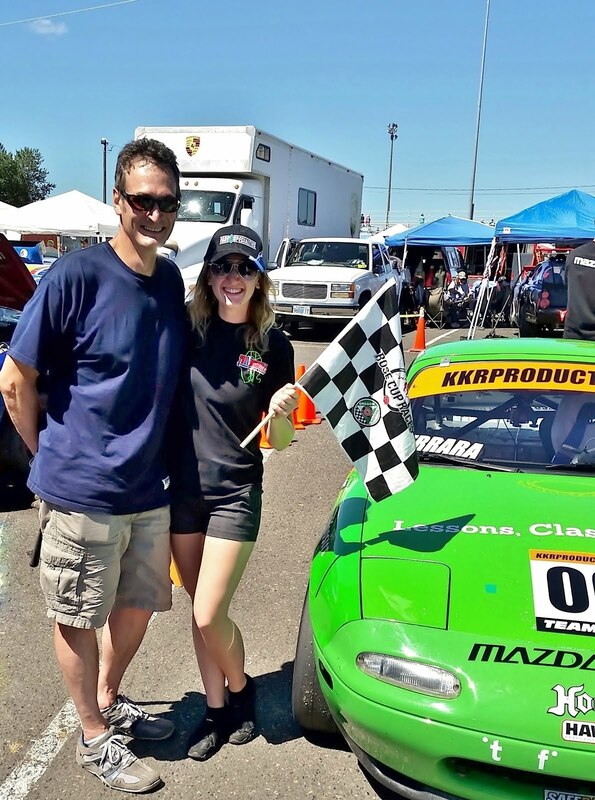 Up next, the Ferrara Racing team is gearing up to compete for the first time in the 40th Annual 8 Hours of the Cascades endurance race at Portland International Raceway. This is personally one of my favorite weekends at this track, so I am looking forward to it!